Cape & Islands Celebrate an Old Fashioned Christmas! Cape & Islands - Happy Turkey Day! Cape & Islands - Fall Fun! Cape & Islands - The Heat is ON! According to the calendar, the summer is half over. Or is that half unfinished? Now is the time to plan a Cape Cod family vacation or stay-cation. There are still a few weeks of good summer weather and lots to do; it's a great time to be outdoors. Cape Cod is famous for it's beaches - pack a cooler, your sunscreen, boogie board, a sun umbrella, some blankets and beach chairs and head for the beach! Cape & Islands - Celebrate 4th of July 2016! 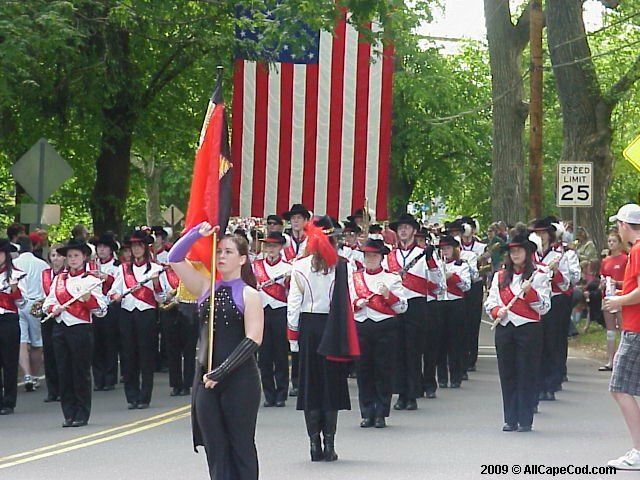 4th of July fireworks bursting over Cape Cod Bay, Buzzards Bay, Nantucket Sound, even the Atlantic Ocean; Parades on Main Street, Band concerts on the green, Community picnics and some years even a tropical storm turned hurricane! - Cape Cod, Martha's Vineyard and Nantucket offer it all. Cape & Islands - Memorial Day 2016 Welcomes the Summer Season! Cape & Islands - Signs of Spring 2016! The calendar says (almost) Spring! Mother Nature's signs are all around... The crocuses are in full bloom and the daffodils are sprouting leaves and buds. If all goes well (no more snow storms), the island of Nantucket and most of Cape Cod's Route 6A from Sandwich through Brewster will soon be in full bloom.